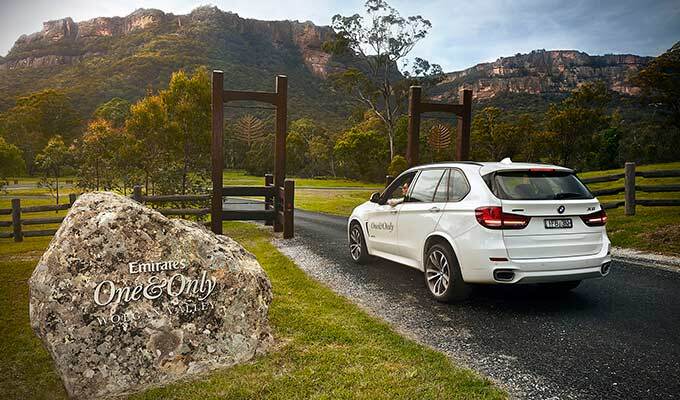 Emirates One&Only Wolgan Valley is located approximately 190 kilometres or a 2.5 hour's drive North-west of Sydney, between the Gardens of Stone National Park to the North, and Wollemi National Park to the East, both part of the Greater Blue Mountains World Heritage area. 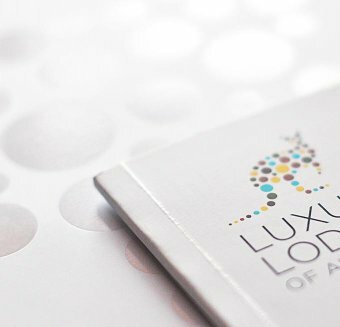 The closest township is Lithgow, 35 kilometres to the South. 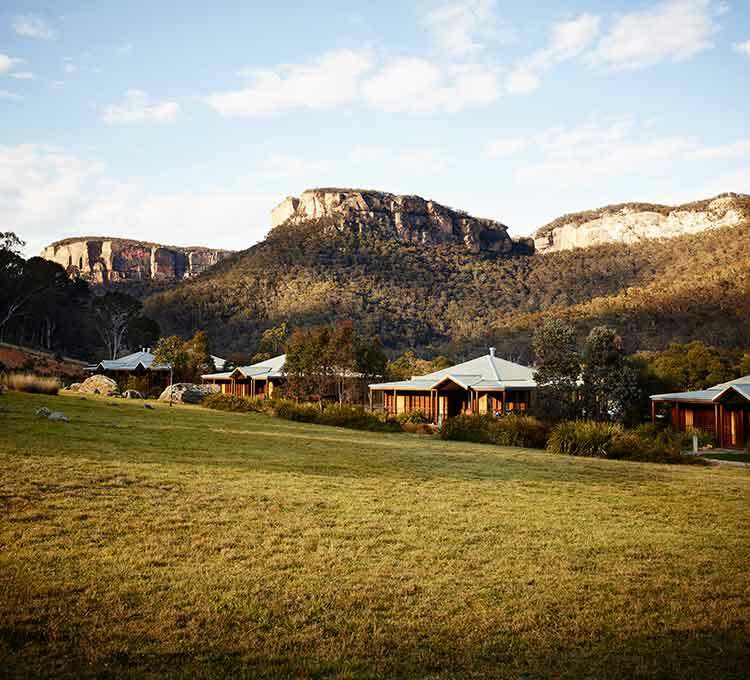 There are several recommended scenic drives to Wolgan Valley from Sydney. 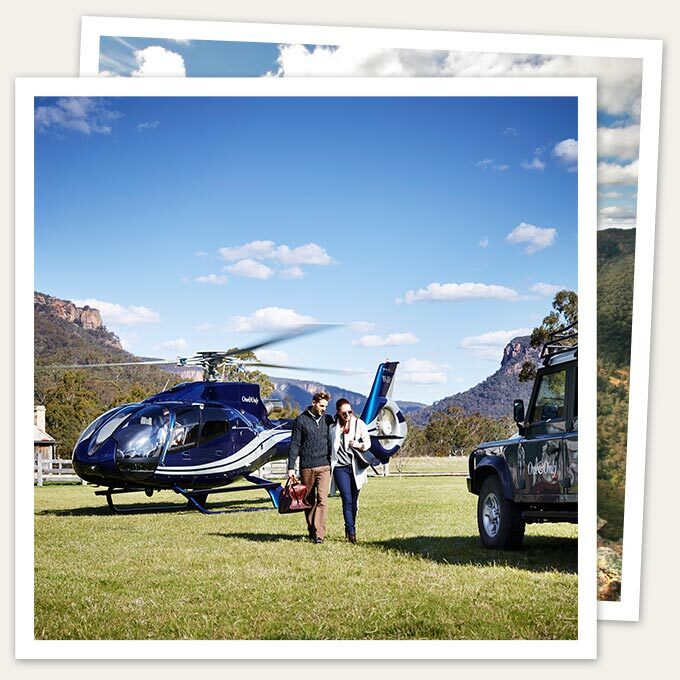 Alternatively, helicopter transfers take just 45 scenic minutes from Sydney and pass over one of the most dramatic landscapes in Australia, offering superb views of the Blue Mountains landscape before touching down at the resort's private helipad.